The 2016 Tejas FOCO held their regional conference at Lone Star College in Kingwood, Tejas. 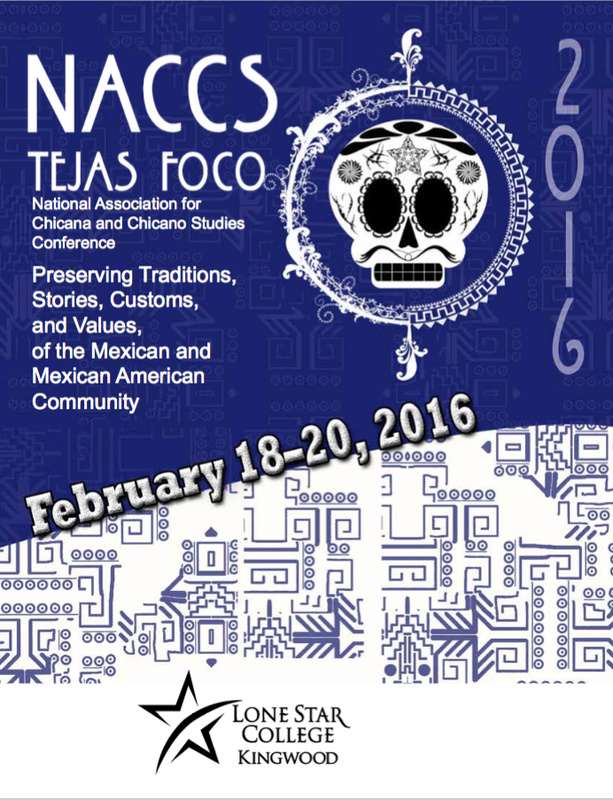 The 2016 theme, “Preserving Traditions, Stories, Customs, and Values, of the Mexican and Mexican American Community,” brought FOCO members out in force to the three-day conference. Panels focused from Nuevas Perspectivas:Reimaging Raza Gender Perceptions to Mi Vida, Mi Voz: Multimedia Narrative from the Puente Project in Bayton. Professor Juan Tejada lead the discussion on the current state of Mexican American Studies on Pre-K-12th grade in Tejas. 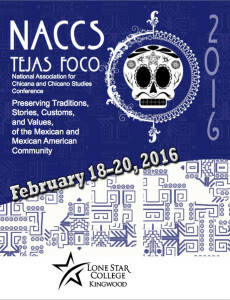 The conference ended with the closing plenary on the Past and Future: The Growth of NACCS Tejas FOCO Conference over the years. FOCO members from South Texas College, Northwest Vista College, Texas State University, and University of North Texas lent their expertise on the future of the Tejas FOCO conference.